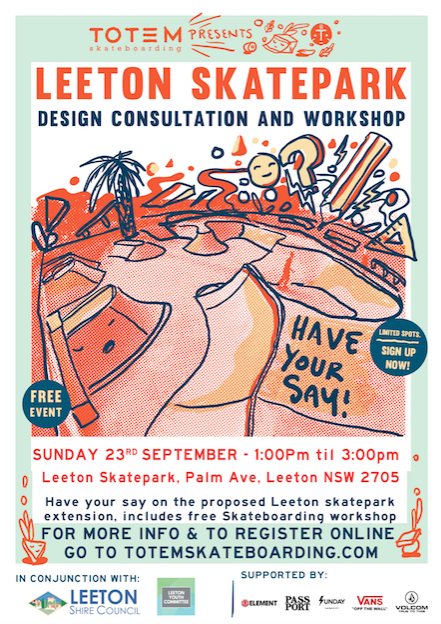 Come and have your say on the proposed Leeton Skatepark extension! Why not get your creative juices following with FREE Skateboarding coaching sessions from 1:00 pm until 1:30 pm, with the consultation running from 1:30 pm until 3:00 pm. Spots are limited so book yours today! The day will also include a Skate raffle and giveaways.